Circle Big Sale Sign Cards are the perfect advertising tool for your retail space! 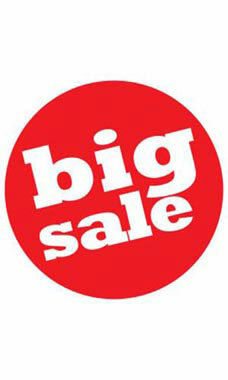 Featuring Big Sale in bright white letters on a bold red background, these signs will draw attention to your sale items! Sold in packs of 25.